MEETING IN FLINDERS COMMUNITY HALL 4 PM SATURDAY SEPTEMBER 15th 2012 The Government and opposition's population engineering continues to wreck havoc on democracy and land-tenure, affecting both private property and public lands, and impacting on established low-key local commerce. New proposed uses for the Green Wedge actually include saw-mills and display homes. The Flinders Community Association have begun issuing an information-packed alert for distribution to the local community detailing the damage that State Government changes to our Green Wedges can do to peoples' local natural, social and commercial environment, whilst removing their ability to defend what is theirs. Other communities may wish to take a similar democratic initiative before all our rights to self-government are swept away by unjust legislation to benefit developers. Note that these moves were begun by the previous Labor Government - which is hardly fighting them now. The incumbent government should be rolling back what Bracks and Brumby did, but instead, they are making things worse. Is the Peninsula's 2011­-12 Rates & Charges Rise Victoria's Worst? Mornington Peninsula Ratepayer's and Residents' Association says that Mornington Peninsula shire has earned the disgraceful reputation of being the worst financial performing council in Victoria in 2011-­12, that its liveability statement is spin, and that they can't understand why the Council ignored the call by many in the community to advertise for a CEO who can control rate increases. Read more about Is the Peninsula's 2011­-12 Rates & Charges Rise Victoria's Worst? 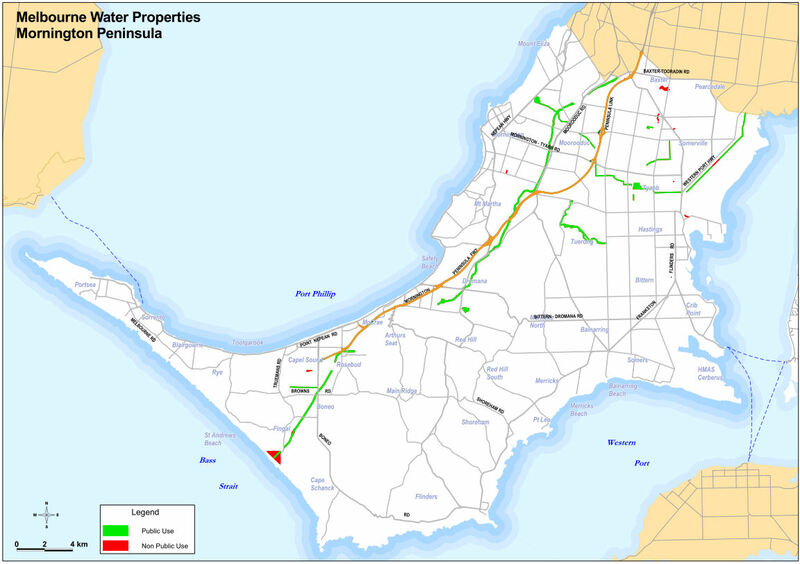 A Re-Classification of Devilbend is critical to preventing the total demise of wildlife on the Mornington Peninsula: designation change from a ‘Natural Features Reserve’, to a ‘Nature Conservation Reserve’. Interconnecting wildlife corridors, through private land, minimum 200 metres in width and the rigorous preservation and restoration of Devilbend as a central core Reserve are essential. As oil prices rocket above AU$140 per barrel, the Victorian Government proceeds to ram through its expensive road and tunnel building projects premised upon oil costing at most AU$24.20 per barrel against a groundswell of community opposition. Why? Wildlife Campaigner: "SEITA preferred Frankston bypass route will severely impact wildife"
Maryland Wilson, President of the Australian Wildlife Protection Council, stated yesterday that the Southern and Eastern Integrated Transport Authority (SEITA) has failed to adequately address the concerns she raised on behalf of the Australian Wildlife Protection Council or the Coalition of Wildlife Corridors. Read more about Wildlife Campaigner: "SEITA preferred Frankston bypass route will severely impact wildife"